A girl singing about another girl is not something we usually hear, but Isaura is making that change in her new single “Closer”. Portugal’s 2018 representative has just put out a new single and will soon release her breakthrough album. People can be cruel and quite judgemental when they see a woman dressed in a certain way or rocking a specific hairdo but that has never bothered Isaura, who featured on this year’s Portuguese act. Another thing that certainly didn’t shake her off was the Eurovision last place with O Jardim as she seems ready to move on. In between Eurovision rehearsals, interviews and even parties, Isaura has never forgotten about her own career outside of the bubble. Therefore, she had many things prepared by then and is now sharing a little bit of it with her audience. The most recent one being her brand new English single Closer where the Portuguese singer talks about a girl, a brave move taking in consideration all of the prejudice that still goes around the world. “She always says what she’s thinking (…). She always makes me feel like I am winning”, she sings during the first verses of this alternative Pop song that resembles American popstar Halsey’s music style. See alsoLast year victory, this year last place – how did Portugal receive that? Closer was written by Isaura and produced by Diogo Piçarra, who withdrew of this year’s Festival da Canção after being accused of plagiarism. 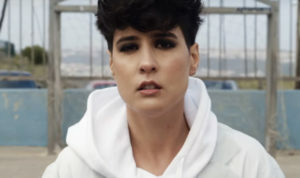 As for the music video – where Isaura’s loved one dances with a man in the middle of the street – it was directed by Liliana Ramires. ← Last year victory, this year last place – how did Portugal receive that?